Builder: Cross Rip Builders Corp.
Material and Finish: Brushed stainless steel. Description: Brushed stainless steel railing and stainless cable infill. 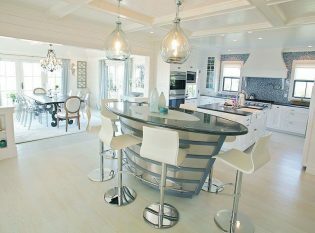 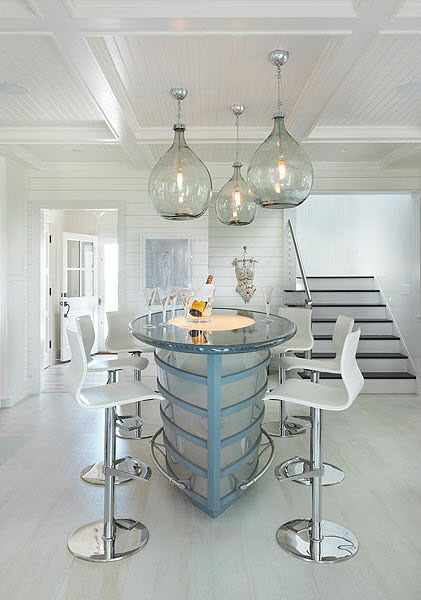 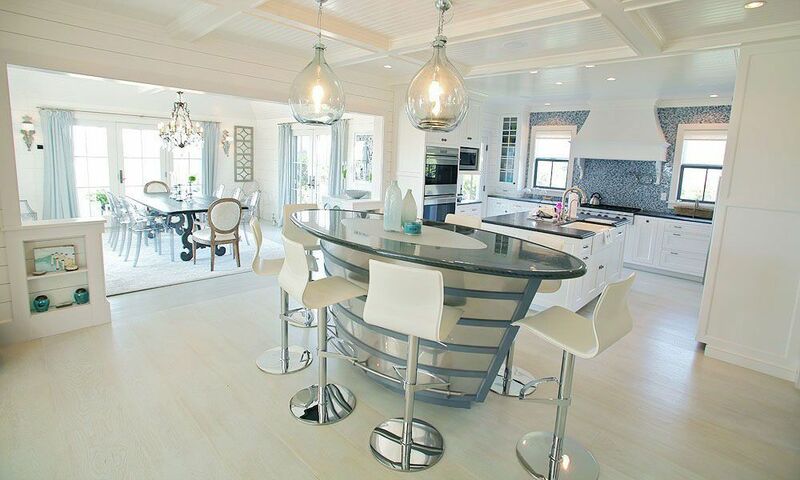 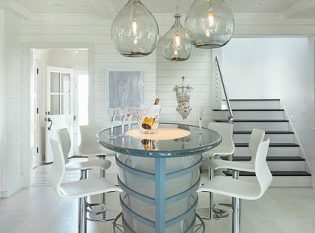 For this project in Nantucket, Massachusetts, we worked with Cross Rip Builders on a home with a white nautical theme. 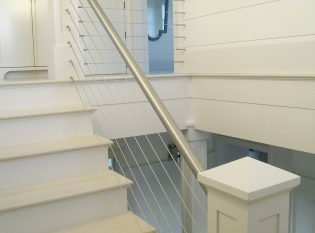 The homeowner wanted a cable railing system that used the existing thick, white wood posts on their staircase. 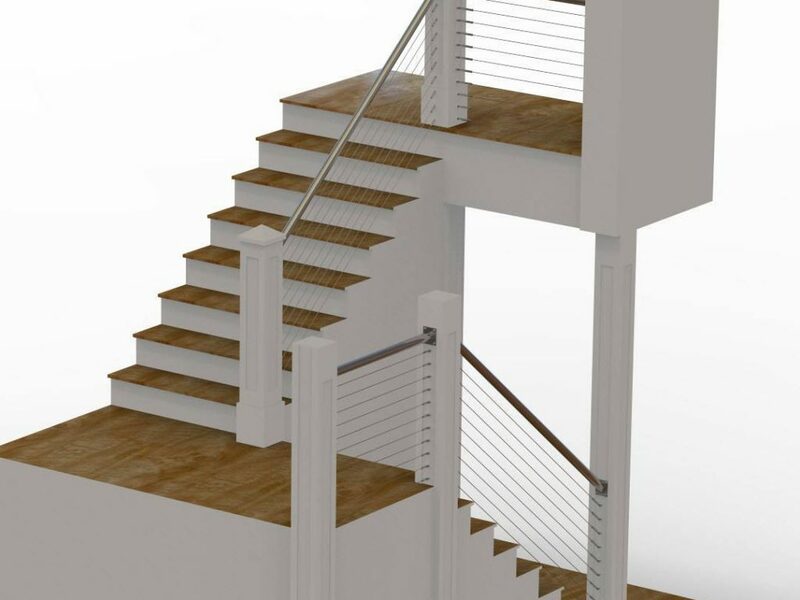 To incorporate the posts into our railing design, we created a custom attachment that joins the posts with our custom-made round stainless steel handrail and infill cables.